We’re a top-reviewed London based digital marketing agency, known for our no-nonsense approach. Just straight talking and smart thinking, delivered by people who care about your business. Working in partnership with our clients, we mould around internal teams to provide support in the areas where they’re needed most to provide and deliver a well-connected acquisition focused digital marketing strategy. A straight-talking bunch of 40 ‘atoms’, based in London, who love what they do and care about who they do it for. If you’re ready for a refreshingly different take on the tired old client-agency relationship, we’d love to help. We offer a bespoke digital marketing service built around your needs, including PPC, SEO, web design & development, email, tracking & analytics, social, UX & mobile marketing. atom stands for ‘acquisition through online marketing’ and that’s exactly what we do – create and manage innovative online marketing campaigns to help you acquire more business – whether that’s leads, sales, donations or page impressions. The ’42’ is a reference to The Hitchhiker’s Guide to the Galaxy; the Answer to the Ultimate Question of Life, the Universe and Everything. How does this translate to what we do? We strive to ask the right questions rather than chasing answers, challenge our clients, and understand your priorities before we start work. Following on from a usability testing project, we recommended a new website for Premier Training International, a personal training and fitness course provider, to improve their onsite conversion rate for prospectus requests and online enquiries. Leaning on the results of our usability testing study, we designed and built a fresh new site with a greater focus on conversion points, as well as being fully integrated with the client’s bespoke lead management software. 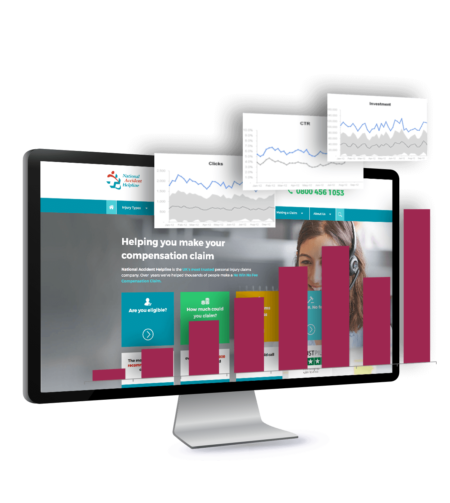 National Accident Helpline were our first client, and over the 10 years we have worked with them their online conversions have grown by 600%, exceeding their targets and keeping within desired CPA. This has been achieved through aggressive PPC management, executing creative SEO campaigns (getting them to the coveted number one position for their core terms), remarketing, partnerships, and social. 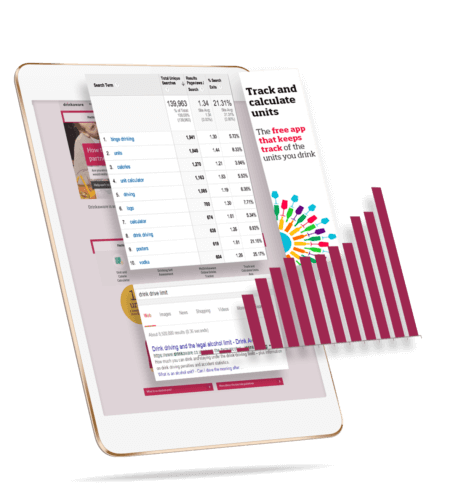 We also write all the content for the site and provide a full suite of reports which are used by all levels of their business. 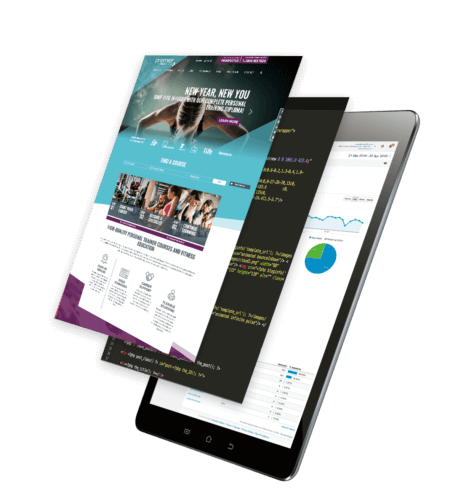 More recently, we’ve built and launched their new site, alongside a successful site migration. We helped deliver ‘A force for change’ – a search campaign that won two awards from Drum and UK Search awards. The campaign’s focus was on educating users, and behavioural change surrounding alcohol use. Studying user behaviour on-site enabled us to better understand what users wanted, and therefore what content we should be creating. This led to a brand new content campaign, driving over 30 new #1 rankings, over 8 million visits to behaviour change pages, and close to half a million using ‘cutting down’ tools in one year.